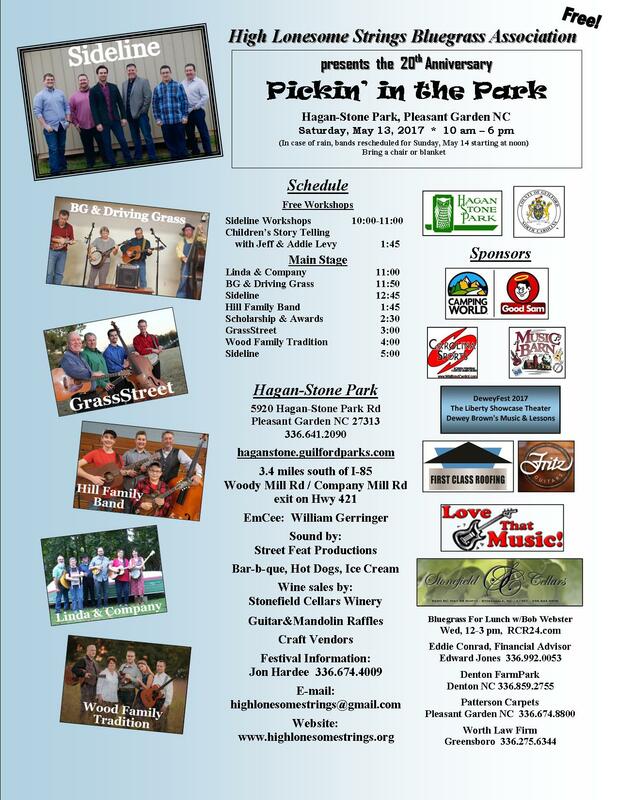 Over the years, High Lonesome Strings has been fortunate to have many wonderful bands and musicians contribute their talents to help make our monthly meetings a fun event. The following is a record of the pictures, bios and other information about these events that were published on our previous website. 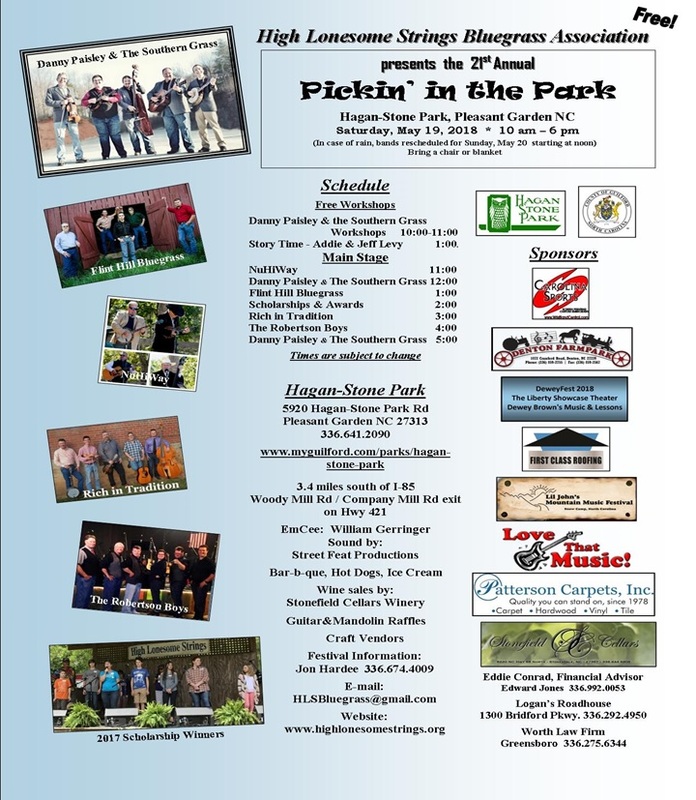 Each year, High Lonesome Strings hosts Pickin’ in the Park, an annual free bluegrass festival event in May that includes both professional and regional bands as well as workshops and other events. The following are some flyers from past festivals that recall the outstanding bands, sponsors and workshop hosts that have helped to make the event possible.